Yes, right. 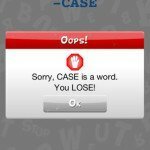 Wordstop is not the usual word game. Your goal is not to make the longest word, or even to guess your rival’s word. 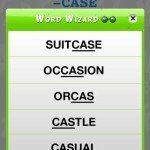 I think most Scrabble players will love it: The goal is to avoid creating a real word for as long as possible. Sounds… Weird. It is. It is also very hard. 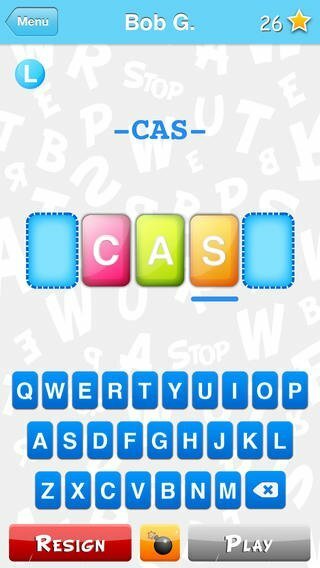 If you are stuck you can always play a bomb, which cleans all letters that can’t make a word, making the turn slightly easier. Oh, and to make for a more competitive game with your friends, you get stars that help you get bombs and also help keeping track of who’s better. You or your opponent? 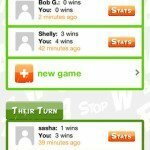 Wordstop is free to play (with unobstrusive ads) and there is also a paid version without ads. I prefer the no-ads version, of course: the developer gets paid and I don’t see ads. I can definitely recommend it: it’s new, different and has words. And in case of doubt, you can grab the free version and try for yourself! 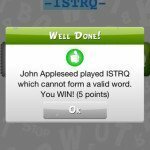 Final Statement:An original new word game. Grab it! This is the full ads-free version of Wordstop. 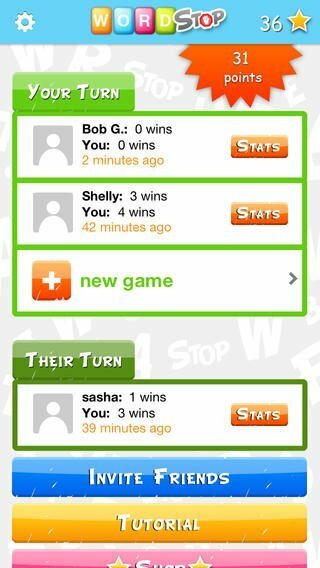 Striking the perfect blend of fun and strategy, Wordstop is the most original word game since Scrabble! 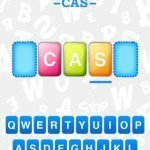 Wordstop is the only word game where you must AVOID completing words, while trying to form letter chains that lead your opponent to do just that. 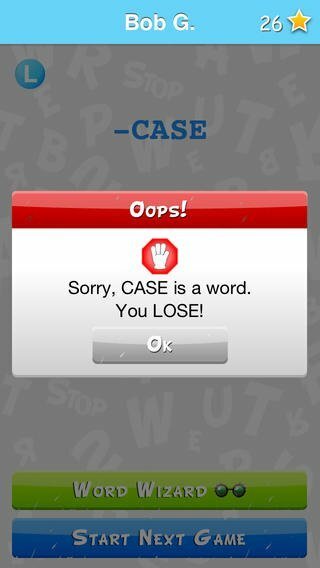 • Spell a word or misplace a letter and you lose the game! Fancy yourself as a bit of a wordsmith? Think you can work your skills in reverse? 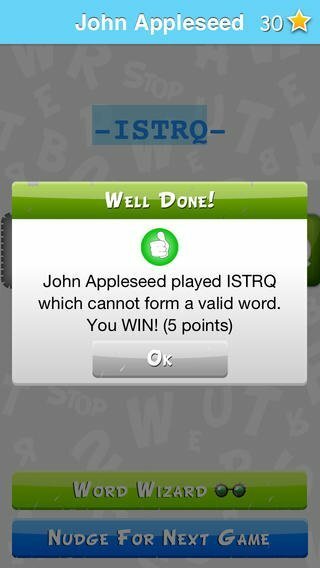 Wordstop is the freshest word game on the block, and the only word game on the App Store that’s anti words! 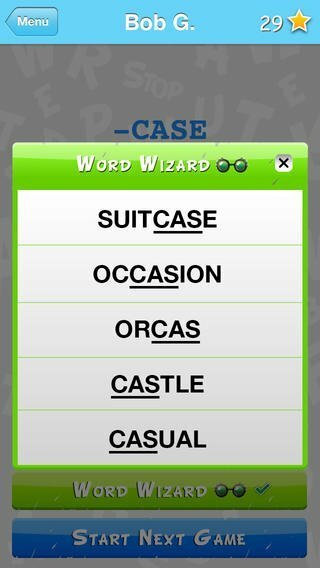 Download Wordstop now and test your lexical skills against friends and family today! Ruben Berenguel is finishing his PhD in Mathematics while writing in mostlymaths.net about being a 'geek of all trades'. He also happens to be the senior editor in the What's on iPhone network: any complaints go to him! ruben	has written 174 awesome app reviews.